Can you dance Bollywood style? This half term we will be exploring Bollywood dance as part of our Hooray for Bollywood topic. This video show you how to do the moves slowly without music. This video demonstrates all the moves together and how it fits with the music. Practise some of the moves at home! On Monday 8th November we will be visiting a Gurdwara as part of our Hooray for Bollywood topic. The reason we are attending a Gurdwara is so we can learn more about Sikhism. In particular we will be exploring celebrations and beliefs in the Sikh faith in preparation for our Diwali assembly. Whilst on the trip will undertake a guided tour of the Gurdwara The cost of this trip is FREE. Please can your childs trip consent form be returned to school as soon as possible. 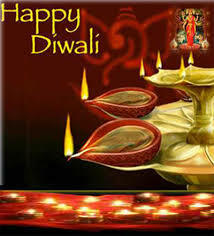 On Thursday 11th November 2010 Year 3 will be presenting their Diwali assembly in the Junior Hall. Parents are more than welcome to attend and we look forward to seeing as many as possible at the assembly. The assembly starts at 2:30pm prompt. In our first week back after half term we will be looking at multiplication in Numeracy. Try some of these websites to make learning your times tables fun! Wow! That went quickly! Our first half term of the year is over and so is our topic of ‘Before Man’. The teachers would like to be nosey and find out what you thought about the topic. What was the most enjoyable piece of work you did during the half term? What did you rate as the most creative piece of work you did during the half term? How are you going to remember what you have learnt? Would you want anything done differently? Would you like the adults in Year 3 to change or amend anything in the topic? The Year 3 teachers would like to say a big thank you for working so hard this half term. This week you are allowed to sit back and recharge your batteries ready for another action packed half term! After school tonight we held a disco for Years 1,2 and 3. We need to say a big thank you to Mr Murphy for being an amazing DJ and all the staff that stayed to help with the disco! It was a brilliant evening! Do you think you know what’s going on in the news? Do you watch Newsround? This is a link to topical news quiz for kids. It changes every afternoon. Have a go as many times as you like over the holidays. Remember to tell me how you get on and to record your score. I had a go and only scored 4 out of 5. The question I got wrong was about Cheryl Cole. Literacy – Wow! You are great at describing now. Over the holiday pick three settings. Draw and describe them in sentences. Challenge yourself to use ‘ly’ words, different connectives and a list sentence. Bring them in to share on the Tuesday. Phonics- Challenge yourself to read a book a day! Can you read and write all the green words? Don’t forget to read everyday and keep learning your spellings. Numeracy –We have learnt so much this half term! Adding, subtracting, learning how to tell the time, measuring lengths, and 2D shape. Make a poster to show what you have learnt. Over the holidays keep learning your time tables. Remember to use your fingers to count on. Write them down and keep saying them. Work on all your tables. Get someone to help you by giving you time tables quizzes! You have worked really hard and we love your brilliant clay dinosaurs! You made your own dinosaur world. Can you build your dinosaur a home? Try using a shoe box to make a dinosaur habitat. Our next topic is Hooray for Bollywood. Do you know what Bollywood is? Get researching and bring in your fabulous work to share with your class. Where is Bollywood? What happens in Bollywood? Be ready to ‘Show what you know’! This is an informative guide to Get Spelling! We commence Get Spelling on Tuesdays , Wednesdays and Thursdays before lunch for 20 minutes in the Oasis Room. Miss Thomas is my spelling teacher and she is a fantastic teacher! We do 8 different Get Spelling activities in one unit. Firstly we do information check. Information check is we learn the focus sound for the unit. At the moment we are learning ‘ow’, o-e, ‘oa’ and ‘o’. We look at red words and homophones. An example of a homophones we have learnt this week is rode and road. Then we do Dot, Dash, Count. This is when we dot the grapheme written with one sound, we dash the graphemes with two or three letters and we total the number of sounds. After that we do Write the Root Word. We have to find the root word or add the suffix. The next activity is Word Fill. In Word Fill we are given a sentence to complete with the correct spelling or homophone. I like this activity because it is fun! We work with our partners to complete circle the right one. We have to circle the correct spelling and then we check with our partner. We play an excellent game called Four in a row. Our partner chooses us a challenge word to spell then we spell it in our book. I don’t this game because my partner always beats me but my partner is amazing to work with! In Dictation we work will our partners to complete the task. My partner reads the sentence and I jot the sentences down. Lastly, we do our Spelling Logs. We chose 5 words which we have found most challenging from the unit and we jot them into our Spelling Log Book and we find strategies to help us spell the challenging words. Today we had lots of amusement painting our clay dinosaurs. We carefully painted our dinosaurs red, green or brown depending on what dinosaur we had sculpted. We allowed our dinosaurs to dry before adding extra details such as stripes and eyes. The dinosaurs look amazing! What do you think of our dinosaurs? Today we had such a great time making our final dinosaur models with clay. It was really tricky to make sure we finished our sculpture before our clay dried out. Some of us found that our legs and tails were dropping off, so we had to be really patient and start again. We were all very pleased with our hard work and Miss Smith and Miss Mortimer thought our dinosaurs were FANTASTIC!